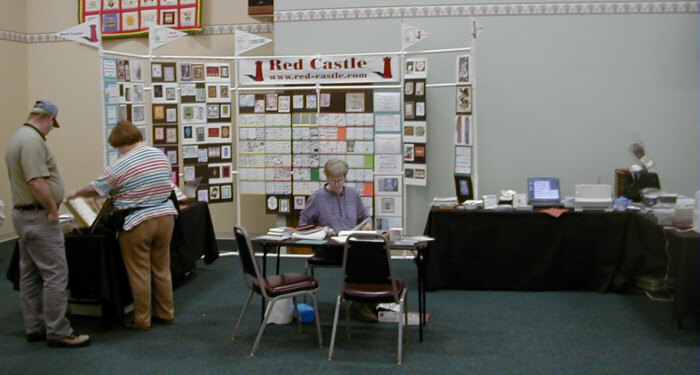 These pictures were taken just before the doors open for the Art Stamps Cafe 2001 show in Rockford, Il. 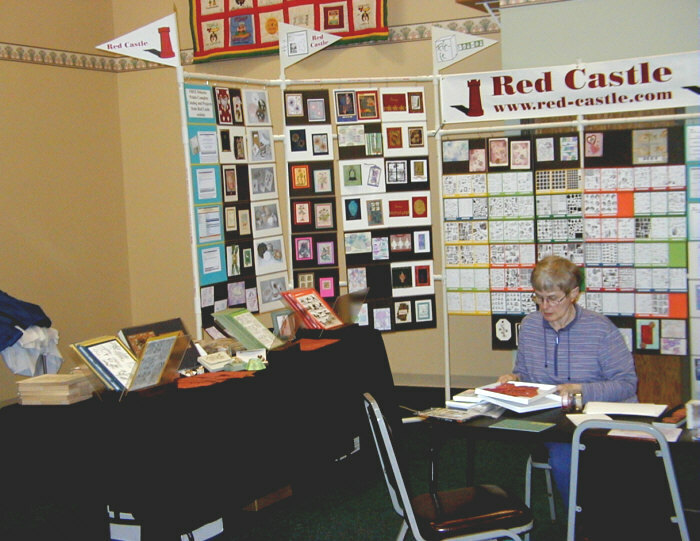 Carol Getman is setting up the demo table that was soon to be surrounded. I had planned on taking more pictures during the day, but never had time, thanks to all the wonderful people at the show. 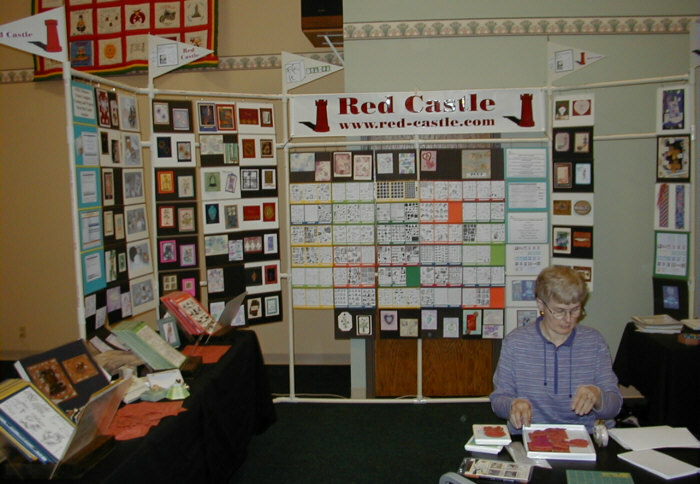 (c) Copyright 2001by Red Castle, Inc. Red Castle, Inc. - P.O. Box 1841 - Saint Cloud, MN 56302-1841 All Rights Reserved.